Punta Cana and Puerto Plato are some of the most beautiful areas not only of the Dominican Republic but also of the whole Caribbean. Known for its 30km (20 miles) of white-sand beaches and clear waters, Punta Cana lies at the easternmost tip of the Dominican Republic. Puerto Plata is a beautiful scenic area with picturesque beaches with a breathtaking mountain backdrop. 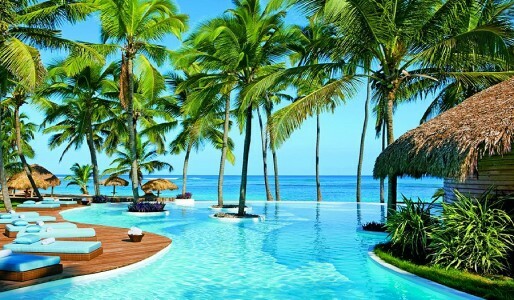 Dominican Republic is one of the largest and fastest growing tourist destinations in the Caribbean and it is a popular holiday destination for people from all over the world. The first hotel was built in Punta Cana in 1969 and today Punta Cana boasts more than 50 hotels and over 28 thousand hotel rooms spread across 40 kilometers of the East Coast‘s beautiful white sand beaches, making it single largest tourist destination in the Caribbean. Many resorts located in Dominican Republic include spas, casinos, an amazing selection of dining options, kids’ clubs and swimming pools. Most resorts can organize on-site weddings, conferences and reunions. North Americans should not expect they will be mostly surrounded by their expats. The Europeans were here first, and they still are majority here and can be quite possessive about “their secret spot.” If you choose to vacation in Dominican Republic, you won’t be alone. Over 750 thousand tourist a year visit here and there is ever increasing presence of celebrities.